The tensions between those engaged in the dangerous and compromising pursuit of whistleblowing, and those who use the fruit of such efforts has been all too coarsely revealed in the Washington Post stance on Edward Snowden. Oliver Stone’s Snowden has done a good deal of stirring on its release, suggesting that the pardon powers of the Presidential office should be activated. A recent petition calling for a pardon of the former National Security Agency contractor has already received signatures from Steve Wozniak, Maggie Gyllenhaal and Jack Dorsey. 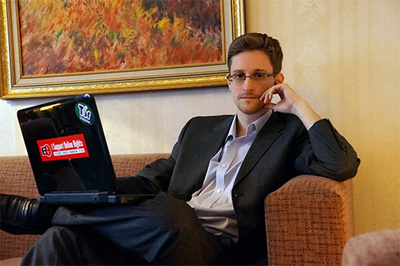 The ACLU, Amnesty International and Human Rights Watch similarly believe that Snowden should be exempted from the vengeful retribution of the US state for his 2013 revelations of uncontained, indiscriminate mass surveillance by the NSA and its British counterpart, GCHQ. In rather damnable fashion, the board suggests that these technological nasties were otherwise very much within the remit of the law, blithely ignoring the ACLU suit that yielded a completely different result. A program such as PRISM should otherwise never have been revealed, and the US Republic could have gone on being unmolested. With some reluctance, the not-so-wise denizens of US democracy went to work on the Hill to conduct the first extensive overview of intelligence practices in four decades. The effort was an imperfect one, but only took place because of Snowden’s constructively disruptive influence. This position, one effectively calling for the prosecution of the paper’s own source, goes totally against the effusive defence of Snowden, run in the same publication, by media columnist Margaret Sullivan. Various blades were already unsheathed as Stone’s film began doing its magic. Last week’s flawed House Permanent Select Committee on Intelligence committee report went over trodden, and sodden territory, doing its best to cast muck on Snowden’s efforts. Its bipartisan membership deemed it a “comprehensive review” but could only come up with a mere 36 classified pages of material. We were left with the crudest of summaries. What, in fact, is revealed in the report is institutionally sanctioned mendacity on the part of the US security establishment, and its political defenders. The distortions of fact range from questioning whether Snowden ever “obtained a high school degree equivalent” (which he did) to the “gross exaggeration” about his “senior advisor” role for the CIA. The proof, being very much in the disclosed pudding, suggests that Snowden was certainly doing more than rudimentary filing. Do desk clerks make history? These tactics go to the modus operandi of those countering the external disclosure of wrong doing within a sclerotic system of information. The assumption, and one made good by prosecutions, is never that a whistleblower is right, but that he or she is presumptively wrong whatever is revealed. The onus is on guilt in the breach, not innocence in patriotic exposure. Snowden’s historical role is already well etched. He exposed a corrosive form of somnambulism in action, of an espionage world gone feral to the dictates of technology. It was a system that had the connivance, and in some cases, compliance, of some of the highest political figures in the countries of the Five Eyes Agreement. If treason is to be sought, it will not be falling very far from the tree of governance. While the debate about Snowden’s pardon will continue to simmer, the verdict for the Post is a dire one. As Daniel Denvir noted with sharp relevance, “There is a special place in journalism hell reserved for The Washington Post editorial board”.